Are you planning on sitting the GAMSAT® exam and not sure how to prepare? Are you confused about medical school admissions? Here at GradReady, we'll be running several events dedicated to the complex world of medical school admissions throughout the year. These seminars are a must-see for anyone applying to study medicine next year or contemplating sitting the GAMSAT® exam in the coming years. The speaker at all the sessions will be a GradReady GAMSAT® tutor who has personally sat the GAMSAT® and most importantly, someone who has been in your shoes. In addition, more often than not, these tutors will also be medical students themselves. We hold these events at University Campuses throughout Australia - Check below to see what events we’re running at your university! While all our events and workshops are free, they often reach capacity very quickly. For this reason, it’s important to book a ticket to any event you wish to attend. To find booking information and event details visit our Facebook Page! We have already run the Medical School Admissions Seminars. Please check out our next round of seminars and the last one of this semester, the Ace the Interview Seminars. 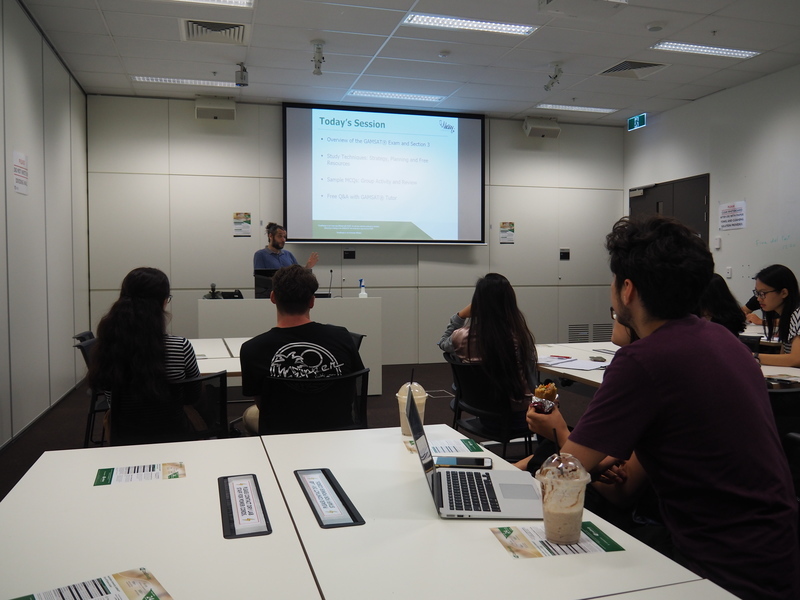 This seminar is designed to highlight the ins and outs of the interview process for Australian Medical schools (MMI vs Panel vs Group Interview), discuss the ideal candidate that medical schools are looking for, outline the types of questions you can expect in a medical school interview, and explain how to prepare for your interviews. We’ve partnered with the Monash Science Society (MSS) at Monash Uni to run these events so make sure to visit their FB page as well! We’ve partnered with the Sydney University Medical Science Society (SUMSS) at USYD to run these events so make sure to visit their FB page as well! We've partnered with UQPMS and UQABS at UQ to run these events so make sure you check their FB pages! We are the only provider to achieve statistically significant score improvements for our students. Our results speak for themselves: Our average student improved 20+ Percentile Points on average, 5 years in a row. Visit our Student Testimonials to learn more. We're also proud to provide the most comprehensive library of free resources available on the market including a free trial, week by week study guides and example essays. Click here to learn more. If you’re interested in learning more about our GAMSAT® Preparation Courses, and how our intelligent and personalized approach has helped our students achieved statistically significant score improvements over the last 4 years, visit our main site for more details.